Whenever possible, ASHGI wants to have a presence at breed events. Even if we cannot be physically present, we can enhance your club events through our Educational Hand-outs on a variety of health topics as well as ASHGI Program and Activities hand-outs . 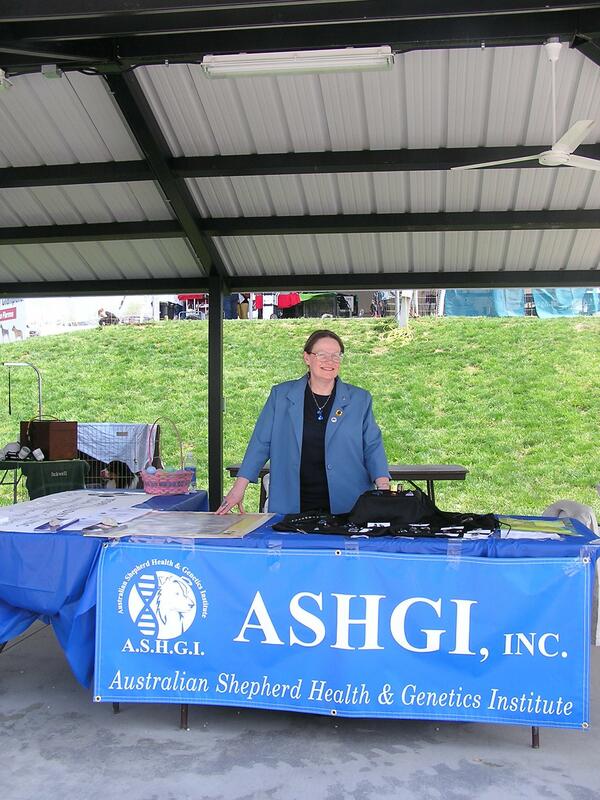 ASCA National Specialties – ASHGI has a booth at the ASCA nationals every year offering breed health information, a DNA health screening and research sample collection clinic, and raising funds to support Aussie health research. Specifics of the events are generally posted here about two months prior. Check back and see what we’ll be up to for our Aussies! 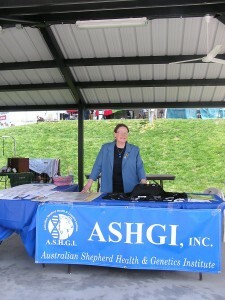 Other Events – ASHGI occasionally provides educational programs like talks and seminars upon request. Please contact us for information. Details will be announced later but we will have an information booth and will be collecting blood samples for CHIC and research during the ASCA DNA blood draw.